Short Message Service (SMS) has become a common tool for communication all over the world. 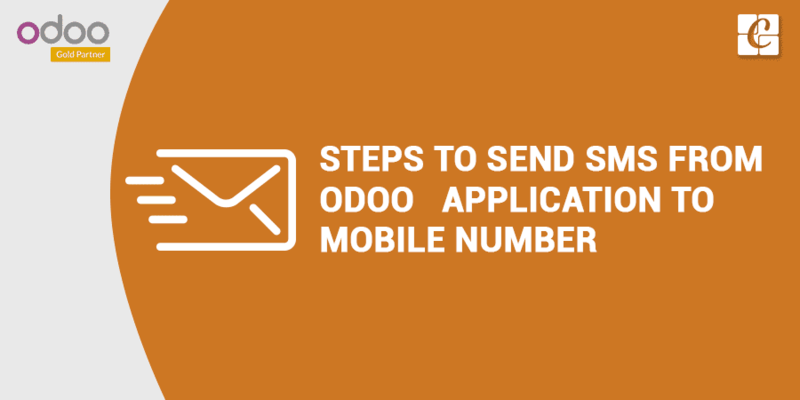 It is very simple to send SMS from Odoo to any mobile number in the world using web application programming interface (API). Let's have a look at how it works. To send SMS, we need SMS Service provider. There are a lot of websites which provide Sms API Gateway. Some of them are listed below. To get SMS API, First, you need to set up an account on any one of the providers listed above or anyone, which you know. You need to pay a certain amount for sending SMS. The amount varies on providers you suggest. First, select a provider and then take a free trial. 2. Message with secret code is sent to your registered mobile number. 3. Login using that secret key. 4. Get SMS Authentication key and URL (This is what we need to send SMS). message = "Connection Test Succeeded"
Paste authentication key, URL, and mobile number to above-described fields. You can also change the content of a message. Take a free trial by running above code in Odoo. You can see the message given below on given number.